Click on the underlined locations to get more information. The start of the trail can also be visited on this interactive page. 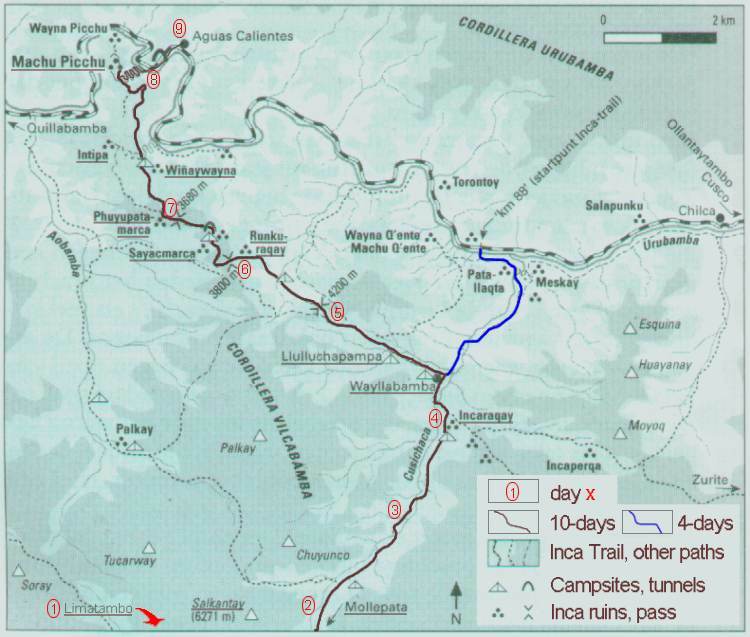 The links in the map are: Limatambo, Mollepata, Incaraqay, Wayllabamba, Llulluchapampa, Runkuraqay, Sayacmarca, Rhuyupatamarca, Wi�aywayna, Intipata and Machu Picchu. Enjoy the Virtual Inca Trail.